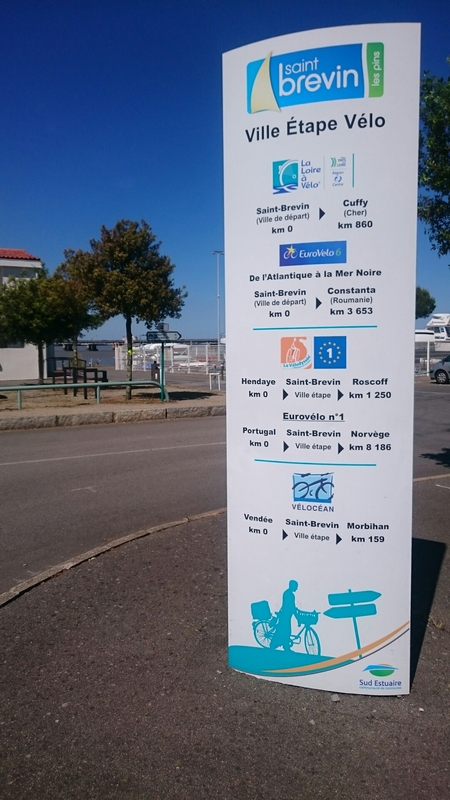 So this morning with bright sunshine I left my beloved St. Brevin-les-pins and headed towards Pornic which is very famous for its old town and harbour. 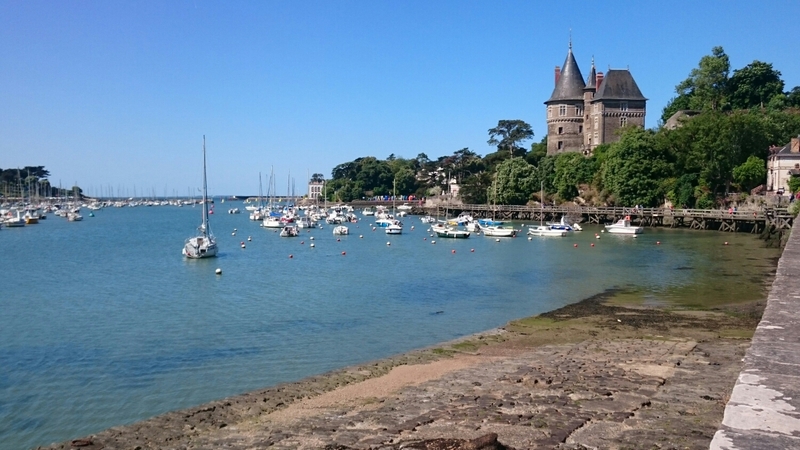 After having the obligatory ice-cream I continued the cyclepath along the coast – it remind me on my trip to the Bretagne 3 years ago. 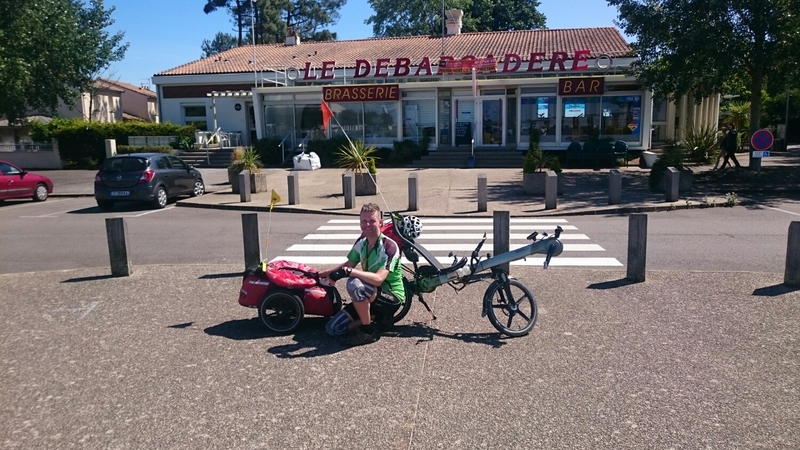 But than you’ve to enter the countryside again and cycle along canals and so you come to the ‘Vendee’ which is very flat. 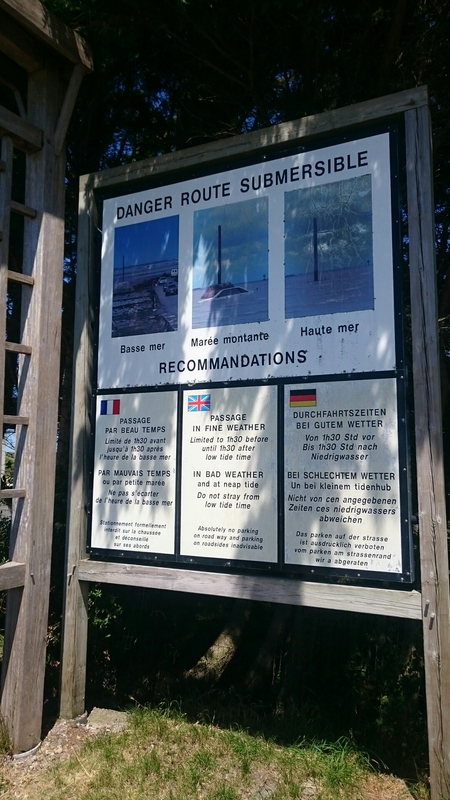 The highlight now is the Passage du Gois, where you can cross a path only twice a day for 3 hours – it depends on the tide. But your also can get shells and so many people go there to catch them easily. 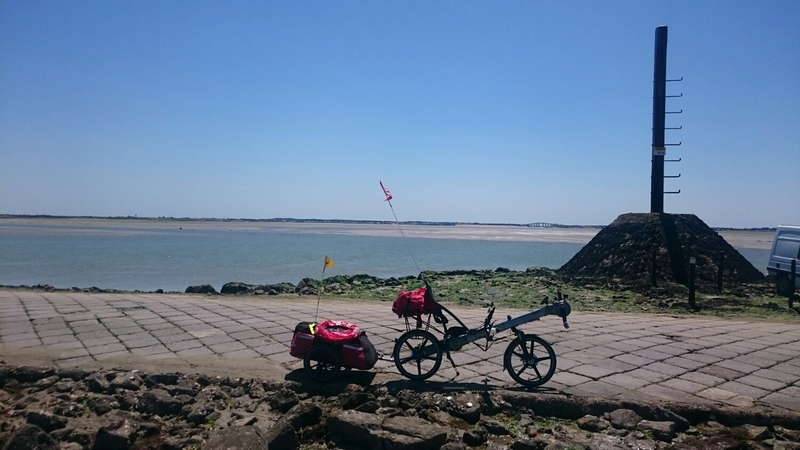 After passing this with dry wheels I cycled half of the island around and my campingsite which I was two years ago…Now as I’m writing the blog I swing in the hammock having had lunch with my gas cooker…perfect day! 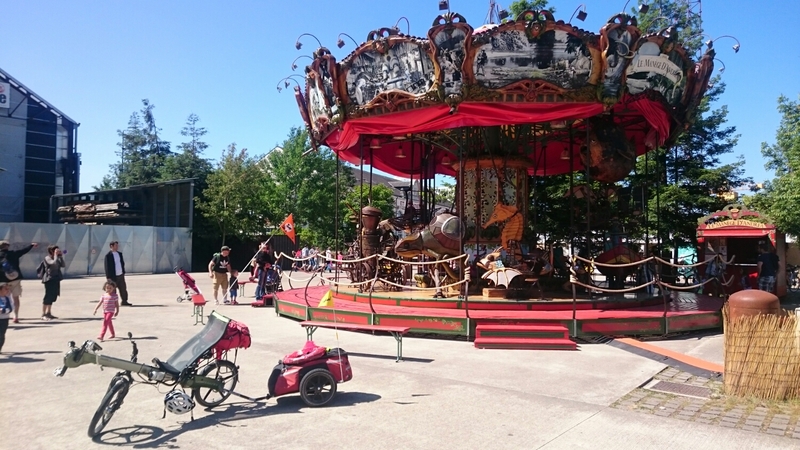 Now I’m sitting in a cool restaurant next to the beach enjoying a Wok and a Bordeaux vine…after having a swim in the pool of the campingsite – what could you expect more ? 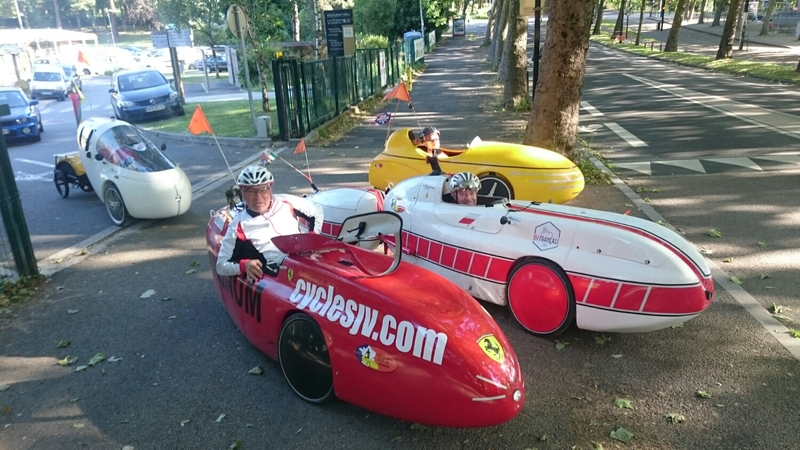 But as you know there is the Velo City 2015 in Nantes – so you can find all kind of bikes. 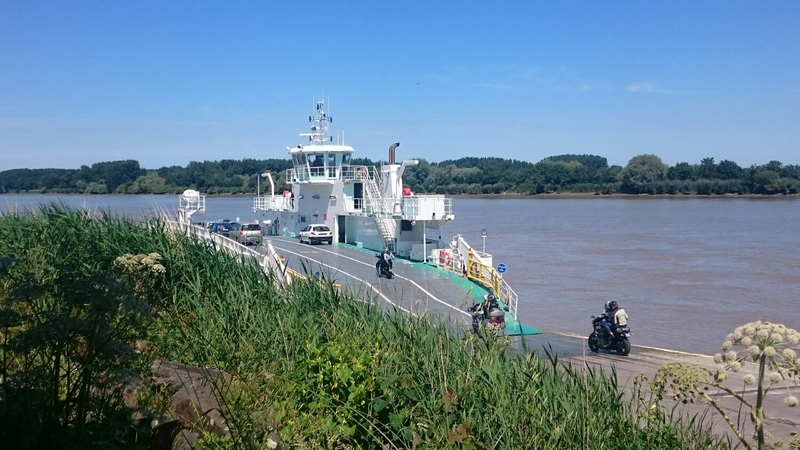 If you leave Nantes you have to cross the river Loire by time…it’s just a short trip by ferry…dedicated to Daniela. 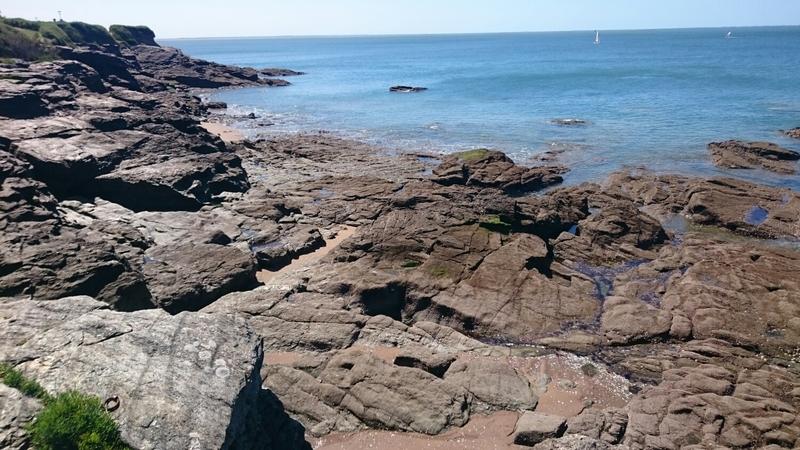 So now you can choose from some campingsites and enjoy the atlantic sea – finally after about 720 km starting in Paris. 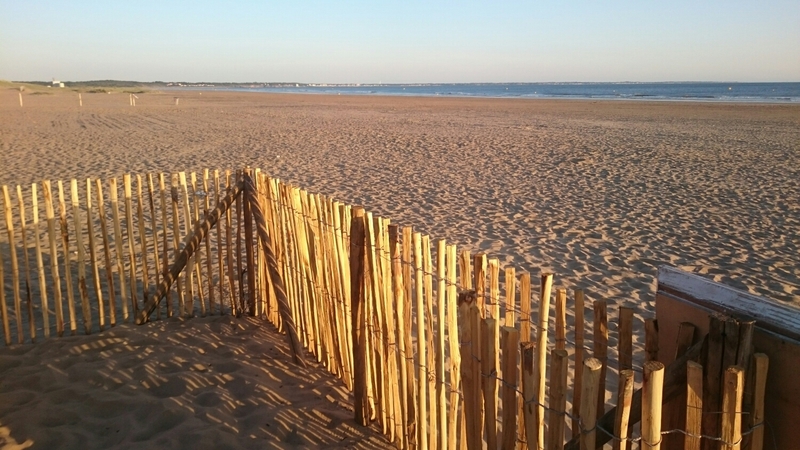 Tomorrow I’ll start the next part to Arcachon and looking forward to meet there Detlef who is responsible for the Facebook site for the Dune du Pilat.